We design and build your Gelateria, Bakery, Coffee Shop and Restaurant. 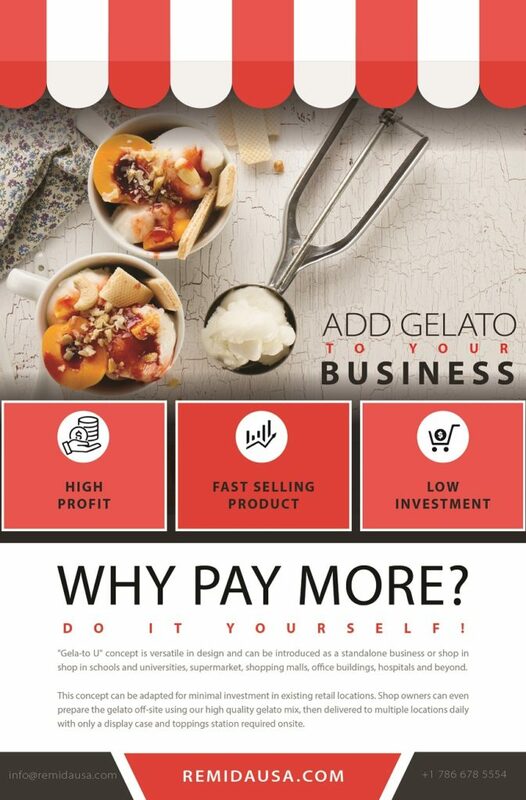 Add gelato to your business, high profit, small investment and fast ROI. Do it yourself! REMIDA is the USA importer of Carpigiani Brands. 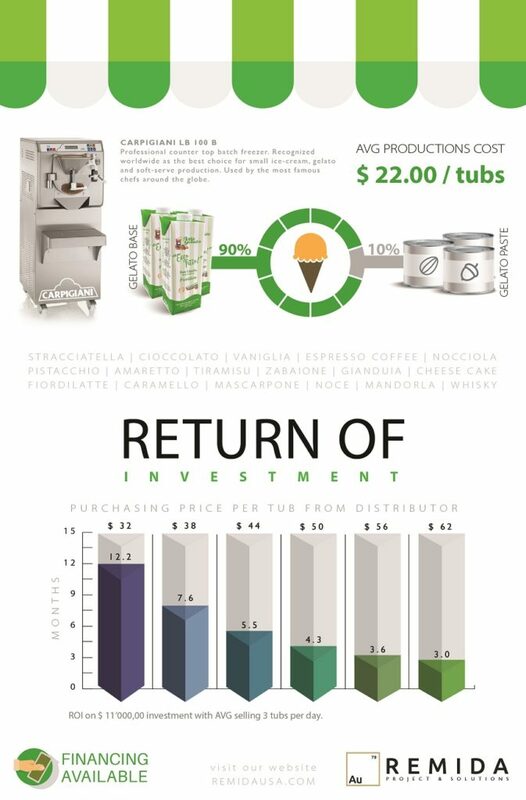 The Carpigiani brands bring the opportunity for frozen dessert producers and pastry chefs, to experience the widest range of ice cream, gelato, & dessert production equipment available in the world. As the only USA importer of the BRX brand of professional display cabinets, we can meet any display need with the most technologically advanced, and beautifully designed showcases on the market. 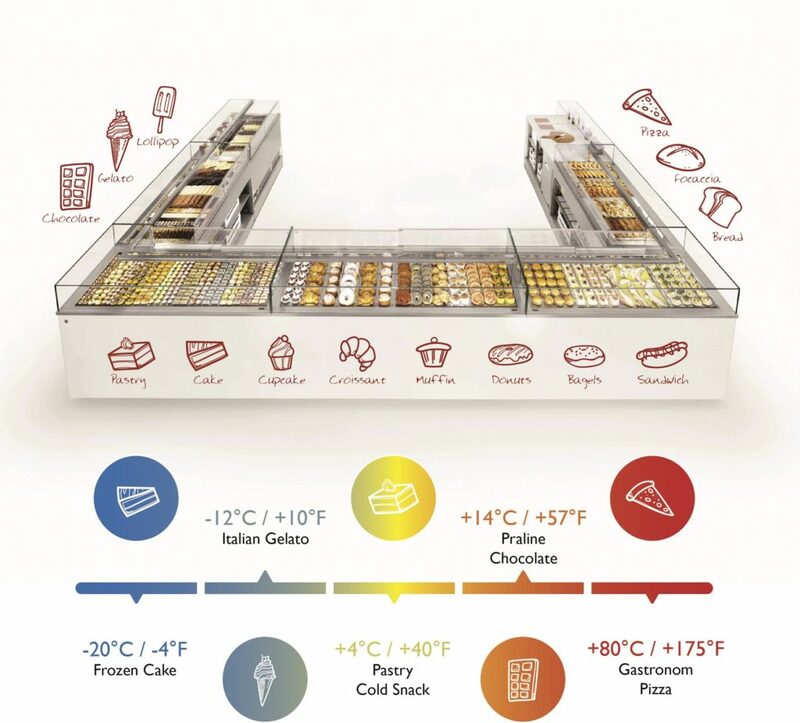 Our displays can be customized to fit any space, style, or refrigeration need. As the USA importer of the GEMM brand of professional refrigeration, we can meet any need with the most technologically advanced, and beautifully designed counter, upright chiller and freezer on the market. 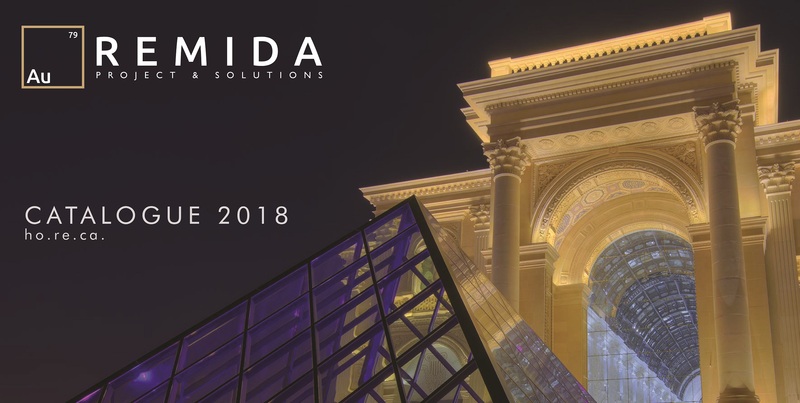 Success stories: "Great business starts from choosing the right partner"
Thank you for visiting Remida. We are so glad you've found us.